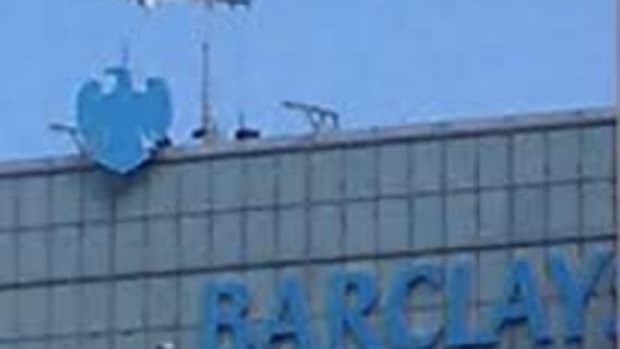 Jonathan Mathew, one of five former Barclays Plc employees accused of manipulating Libor, says he was pressured by his boss to lie about complying with requests from other traders to manipulate the benchmark rate. Mathew, 35, said on his second day of testimony in London that Peter Johnson, his boss, pushed him to deceive bank lawyers investigating Libor manipulation in 2009. Before that, the partially deaf trader believed that he wasn’t doing anything wrong...Mathew said that it wasn’t until Sept. 30, 2009, after interviews with Barclays’ lawyers, that Mathew thought accepting trader requests was wrong. Immediately after the interview Mathew approached Johnson, who suggested they talk outside the building. "He wanted me to lie about us accepting the requests," Mathew said recalling the conversation. Johnson told him that they had always ignored the requests to fix Libor, he said. Oh and PS? The whole time he was rigging London interbank offered rate? It&apos;s because he thought it was the right thing to do, not on the promise of some middling spicy tuna roll or cup of French roast. Earlier today, Clegg showed the jury e-mails of traders telling Mathew where they would prefer to see the rate set that day and offers of coffee and sushi. "Were you setting a dishonest rate for some sushi?" Clegg asked. "No," Mathew replied.